A true Texas native, Beatrice Wright joins CFS Jets as Manager of our Western Office. She holds a Bachelors Degree of Business Administration from the University of Texas at San Antonio, with a focus in marketing and advertising. Straight from College, Beatrice began her career with a Sponsorship Marketing Firm working with various sport venues such as the NHRA, the AMA and MSL. Within 2 years, she was recruited by San Antonio based firm Express Jets to assist in the sales and marketing efforts of corporate aircraft, and has made her home in the aviation world since. In her 11 years in this dynamic industry Bea has not only held many roles, but has excelled at anything she has moved in to. 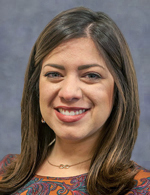 She is a Marketing Specialist, licensed Property & Casualty Insurance Agent, Texas Notary, Researcher and Transaction Closing Coordinator, and we are proud to have her on our team. Rest assured if there is anything that needs to be accomplished, you can count on Bea to get it done.